Nested, a London, UK-based property startup, raised £120m in funding. – £100m of debt finance from an institutional investor. The company intends to use the funds to scale in and beyond London, and launch a number of customer tools and services that, along with their unique advance, will redefine how consumers sell their home. 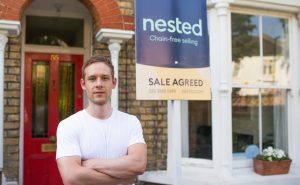 Launched in 2016 and led by Matt Robinson, CEO, Phil Cowans, and James Turford, Nested does all the work of a traditional estate agent, providing a dedicated progression team, data-driven, transparent valuations, and an advance of up to 94% of the market value. If the home sells above this amount the seller will receive that too (minus their fees) and if it sells for less, Nested will take the loss. Next storyWhat is an ICO, Exactly?